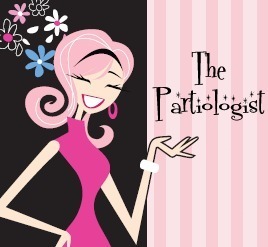 The Partiologist: Easy Halloween Ideas! There isn't much time before Halloween...however, there is time for these two easy ideas. Yes, I said easy, no toil and trouble today. The hardest part is deciding which to share first. 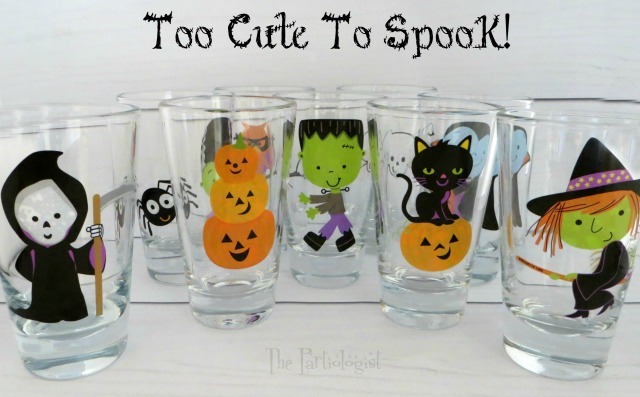 These really are Too Cute To Spook don't you think? Now, if I would have said I painted the pictures on, they would not have been in the easy OR cute department. So how did I do that? They are window clings I used on my beverage glasses! I just loved the look and how easy they were. When I saw the cute window clings at Wal-Mart for less than a dollar, I knew what I would do. Put them on glasses, NOT windows! I've been living on the edge lately. Remove al the clings from their backing, put them on the glass and you're done. Save the white paper backs. 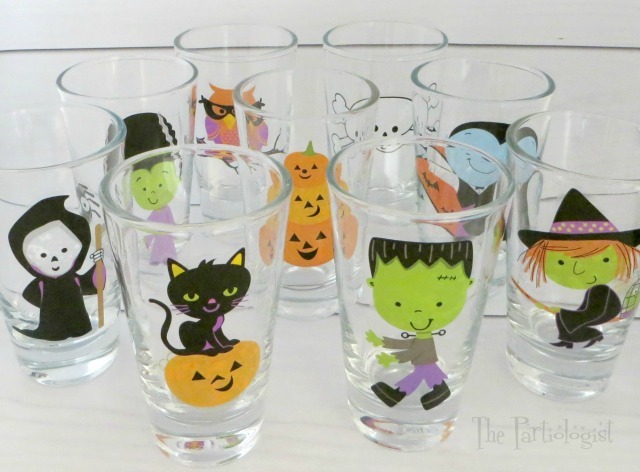 After you're finished using the glasses, just peel the clings off and put back on the paper and save for next year. Easy + Cute = WINNER! 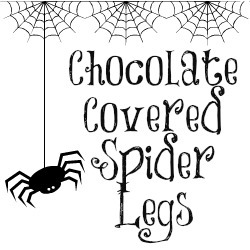 Now who doesn't love to feast on Chocolate Covered Spider Legs every Halloween? 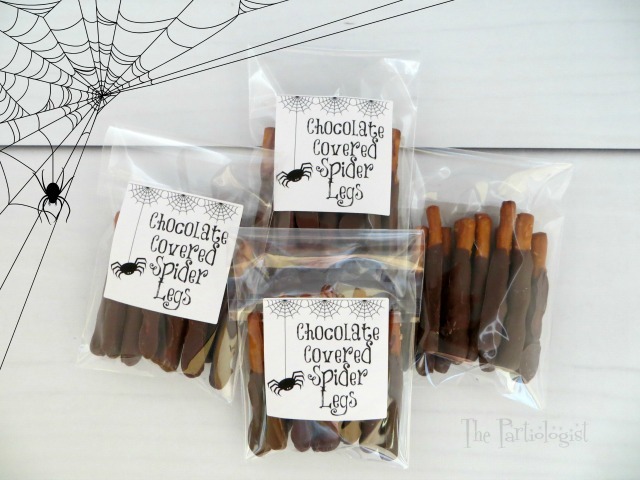 This time I served up gluten free spider legs, with pretzel sticks and melted chocolate. 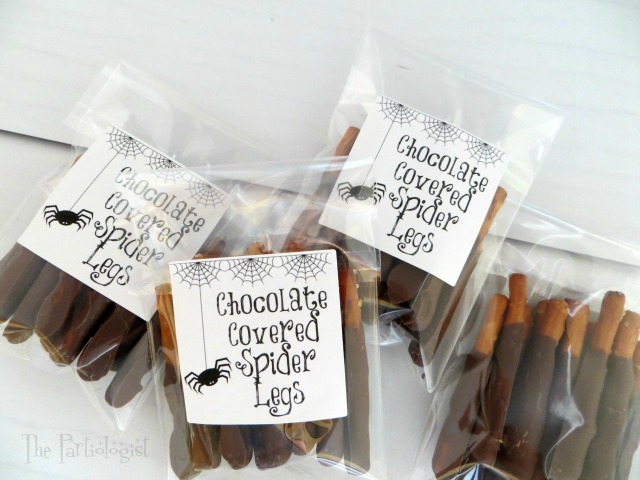 Placed a dozen legs in each package and sealed them with a cute little tag. I can assure you that this would be the only kind of spider leg I would EVER eat. EVER. Window clings on glasses - pure genius!!! ok the window cling idea i'm stealing! 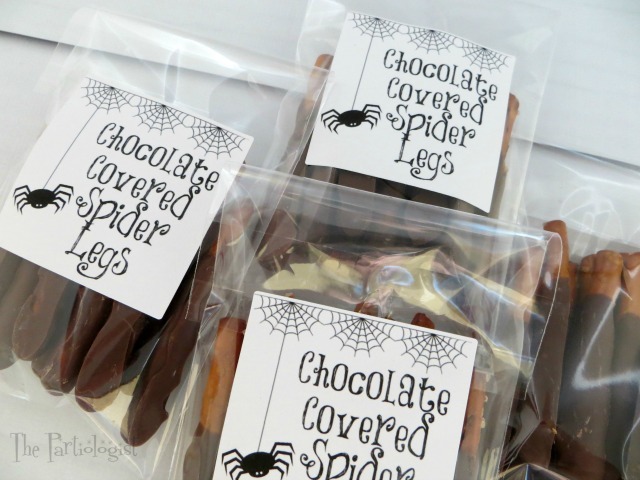 lol and the spider legs with the labels are also very cute. and those little tags? holy cow that's pretty awesome!!! Aren't those little hang tags fun, now I want to hang a tag on everything! Oh yes, those Christmas clings work great - especially the snowflakes! !